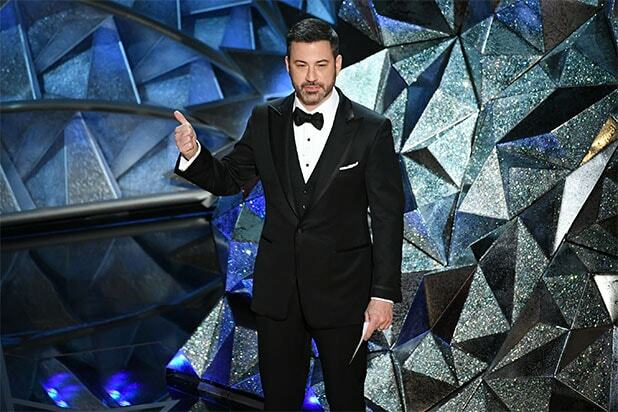 Jimmy Kimmel joked all night about how long the Oscars ceremony would be (although some winners really were really playing to win that jet ski! ), and viewers of the ABC telecast got to see everything that happened on stage at the Dolby Theatre in Hollywood. But beyond the presentations of awards, musical extravaganzas and endless acceptance speeches, believe it or not, there were plenty of surprising moments that happened off-camera. TheWrap was there to capture some of those best moments, including Sam Rockwell comparing his character to Barney Fife, and Kobe Bryant throwing some more shade at Fox News’ Laura Ingraham. What do “Three Billboards Outside Ebbing, Missouri” and “The Andy Griffith Show” have in common? Rockwell said that he took inspiration for his bumbling, racist cop character from Barney Fife. Russia was banned from the 2018 Winter Olympics, but many Russian athletes were still able to participate in the games as independent athletes. Director Bryan Fogel was watching the Olympics closely. And after winning the Oscar for Best Documentary Feature, Fogel used his platform to call on the president of the International Olympic Committe, Thomas Bach, to resign from his post at the IOC. “Plain and simple, Thomas Bach needs to resign. He is a crook, and what he has shown to Planet Earth and any athlete who believes in the Olympic ideal is to not trust it and to not trust those words,” Fogel said in the press room afterwards. “Because if you can corroborate and prove and substantiate a fraud on this caliber on this level that spanned for decades, and then essentially give that country that committed that fraud a slap on the wrist, allow 160 of their athletes to compete in those games, two of them found doping, and then immediately after the games are over, without that country ever accepting responsibility, apologizing for any of their actions or accepting that any of this was truth while they continue to hunt Dr. Grigory Rodchenkov, and they lift the ban on that country: What a fraud. What a corrupt organization, and that man should be embarrassed and ashamed of himself. He needs to resign. 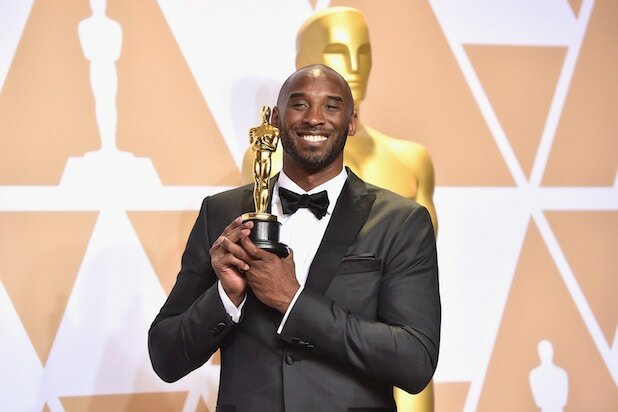 Kobe Bryant knows a few things about winning (ask all the Lakers fans in L.A.) But his co-director on the Oscar winning animated short “Dear Basketball,” Glen Keane, joked that at least tonight he doesn’t have to celebrate his victory by sitting in a tub of ice. During his acceptance speech however, Bryant threw some shade at Ingraham, referencing her “shut up and dribble” comments. He clarified those comments in his post-acceptance speech interview. Sebastian Lelio is celebrating his win for Best Foreign Language Film for “A Fantastic Woman,” but he said it was one step on the road toward acceptance of transgender people in the film’s native country of Chile. “Coco” hails from “Pixar” and “Black Panther” hails from Marvel, both subsets of Disney, but they have more in common than you think. Adrian Molina, the co-director of the Best Animated Feature winner “Coco,” explained why both of these movies are important.